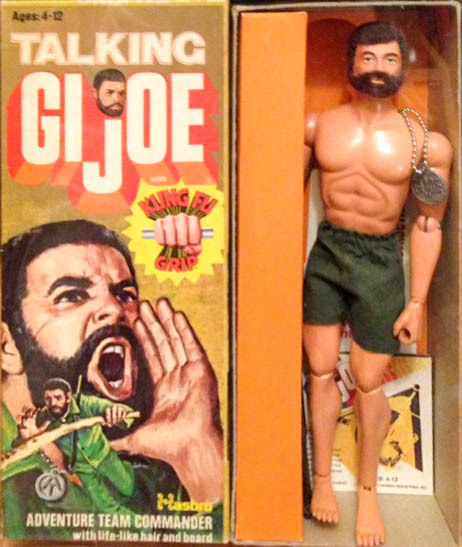 The Talking Adventure Team Commander (7290) came back in 1976 with a new set of voice commands and the talking mechanism moved to face the figure's back with the pull string exiting at the top of Joe's left shoulder. While most figures had the new voice box, Hasbro also used up the original version of the talking device in Life-Like figures, so they can be found issuing the original commands as well. This seems to be more common with the black version of the Life-Like Commander. 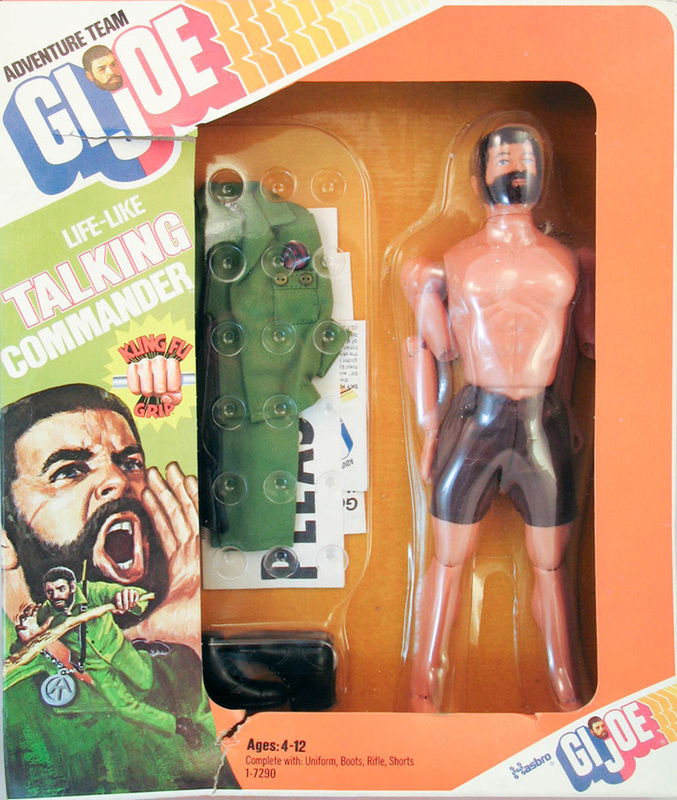 The 1976 Talking Commander is very hard to find in the box, and came with a one pocket green commander's uniform, shorts, boots, and a black hunting rifle. It came carded in an orange frame box, and from Sears in a corrugated box with a two color litho applied to the front panel. Above, the Sears catalog version of the box. The Eagle Eye Land Commander shipped from Sears in a similar box. Below a very rare transitional boxed figure that uses the 1974 Kung Fu Grip box with the 1976 Like Like Body figure. Note the blank insert with the old talking commands removed because they didn't match the new voice recordings. Image courtesy of Joezeta.